From the Ground Up, You Can Trust Collin Bryan With All Your Roofing and Construction Needs. At Collin Bryan Construction, we pride ourselves on our identity as a family business with a commitment to integrity. Collin Bryan Construction assures quality beyond the norm. We continually exceed the expectations of our clients and strive to set new standards for excellence in our industry. We have succeeded in our goal to become a premier choice for roofing and construction needs. Every job we take on represents an opportunity to further strengthen our reputation. Whether it’s the quality of materials we use, or the skill and professionalism of our crews, you can count on nothing short of superiority. 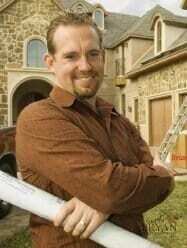 For mastery services in roofing and construction, trust Collin Bryan across Dallas, Fort Worth, Tyler, Houston, and outside of Texas. Contact us today with any of your present of future construction needs at 214-927-5263. As NASCAR sponsors we are on the forefront of the industry. By choosing Collin Bryan Construction you can count on a professional team approach. From sales to production, our staff stands behind our work at every level. Our clients are the utmost importance to us! We remain available to you at any time from the beginning to the end of each project to answer any questions or concerns. Residential Roofing: Our residential roofing services cover repairs, inspections, and the replacement of roofs. We additionally specialize in shingle roof repair and emergency repairs. If your roof needs work or has recently become damaged, give Collin Bryan your first call. Commercial Roofing: We provide installation and services for TPO, EPDM, metal, modified bitumen, and roof coatings. We are leaders in commercial roofing and moisture protection. Collin Bryan provides full building envelope moisture protection systems including below grade waterproofing, air and vapor barrier, joint sealants for expansion, and control joint application. Multi-Family Complex: Owners of apartments, condos, and multi-family houses can depend on us for expertly installed and serviced roofs. When a roof becomes not just your concern, but that of all the families you house, trust us for superior service. Construction: Our construction services run the gamut from homes to commercial structures, and everything in-between. If you have an idea for a new building, let Collin Bryan Construction make it a reality. Home Remodels: Let us transform your house into the home you’ve always wanted. Our room additions let you add the master bedroom suite or game room that has previously existed only as a fantasy. For remodels, you can trust in our respect for your property and promptness with completed work. As an established roofer and builder with a long track record of excellence, we stand behind our work 100 percent. We offer client assurance with our warranties. Our dedication to quality never falters, and we guarantee the effort to solve problems giving you the workmanship you deserve. Our Team Upholds Ideals of Integrity and Craftsmanship in Everything We Do. In the early years of my construction career, I started out as a subcontractor with a grand goal to impact the construction industry with integrity. At our company’s core, this is and always will be our chief aim for our customers. 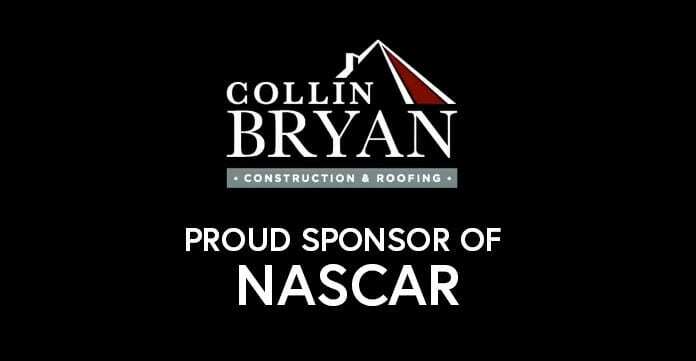 After years of owning various subcontractor businesses, Collin Bryan, named after my first born son, was created with the intent to leave a lasting legacy for my family. It began as a high-end construction branch that built million-dollar homes. Now, after nearly two decades of excellent customer service, quality construction, and many building awards from multiple builders associations, Collin Bryan Construction has grown to become our banner company. Collin Bryan incorporates a wide range of restoration, remodeling, and new construction, and has expanded into multiple regions around Texas. Knowing our family name is on the line — and being the father of 14 children — I invest a lot of value and pride into leading our business with honor and excellence. 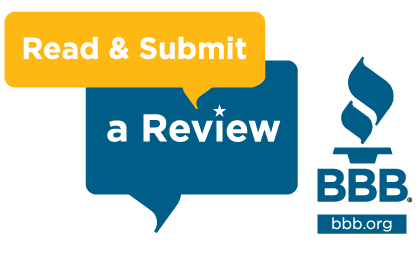 I commit to making myself available to all our clients for any comments or concerns they might have, and will work hard to provide an impeccable service throughout the customer experience. We thank you for your kind patronage of our services, and consider it a privilege to serve your family. Collin Bryan Construction makes available superior roofing and construction services for Texas and beyond. We always put our clients first and make it our goal to provide worry-free service. For any roofing, construction, or remodel needs, trust Collin Bryan in Dallas, Fort Worth, Tyler, Houston and outside of Texas. To ask questions or learn more about our services, call us today at 214-927-5263. Since the commencement of our enterprises, Collin Bryan has subcontracted in over fifty cities, built new construction in seventeen and has developed six properties around Texas. There are few types of construction that we have not encountered while contracting an extensive range of residential and commercial architectures. In recent years, focusing primarily on insurance related claims, we have overseen hundreds of residential, commercial and multi-family restoration and roofing projects. After years of operating various sub & general contractor businesses, Collin Bryan, a family owned business named after our first-born son, was birthed with the purpose of leaving a lasting legacy of excellence while beginning as a high-end construction branch that initially just built million and up homes. Since 2007 all our companies were merged under the Collin Bryan Enterprises, namely Collin Bryan Construction, LLC. 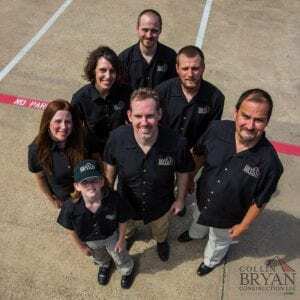 Now nearing two decades offering excellent customer service, quality construction as an award winning builder, Collin Bryan Construction has grown to be our banner company incorporating a wide range of restoration, remodeling, and new construction now expanded into multiple regions around Texas.